Buy Now at the Burnaby Motif Condos at Citi community and move in March 2010! Now’s the time to make your move. Spacious Motif at Citi Burnaby condos for sale priced to sell from $390,600 and with only forty five condominium available, why wait? The suites at Motif Brentwood Burnaby real estate development are larger than average – up to two thousand two hundred square feet – with stunning views too. The best part, they’ll be ready for occupancy within a few short months. By March 2010, you could be living in the heart of Burnaby real estate’s vibrant Brentwood community, an elevator ride away from shops, restaurants, and services. The presale Burnaby Motif Condos at Citi are just fifteen minutes away from downtown Vancouver via the SkyTrain. With 45 homes remaining, call 604,298.8800 or visit www.motifatciti.com for more information. 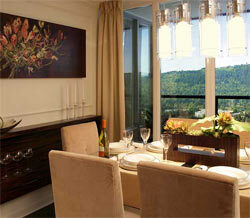 The Motif at Citi Burnaby condos are brought to the market by Appia Group of Companies. The Motif Burnaby Condo sales office is located at 1801 Rosser Avenue and is open every day except Friday from 12 to 5pm. The approach for the Ledingham McAllister Brentwood Gate new Burnaby real estate condos is working. “Brentwood Gate clearly resonates with people in a very powerful way,” Manuela says, adding to it is unusual to find a real estate Burnaby development of this size adjacent to an existing, established neighbourhood of single-family homes. There has been a huge resurgence of building in the entire Brentwood Gate neighbourhood, but was are the only high-rise condo tower pre-construction project nestled in to a hillside and surrounded by an established residential community. It’s going to give Brentwood Gate by Ledingham McAllisetr a whole different feel because when you step outside, all you’ll see is residential – trees, walkways, people walking their dog, and the houses of an established single-family Burnaby neighbourhood.” Small wonder, she says, that every phase at the Burnaby Brentwood Gate condo real estate properties sold rapidly – some, like MacDonald House, selling almost every pre-construction condo suite within a single weekend when released. The landmark Brentwood Gate Fitzgerald condo tower located along Lougheed Highway and Beta Avenue in Burnaby. Visit www.brentwoodgate.com for more information. In the heart of central Burnaby and ideally located neaer all the amenities busy urbanites insist on- transit, shopping, schools, restaurants, and entertainment – Burnaby’s Essence Condos is preparingb to burst onto the residential scene at Edmonds and 18th Street. Featuring a variety of individual floor plans to choose from, this Ledingham McAllister central Burnaby Essence new condo 29 storey high-rise condominium tower is aimed squarely at home buyers looking for quality and a maintenance free lifestyle. Drawing natural inspiration from a creek running directly through the real estate Burnaby development, Essence Condos will create a fresh, new lookin in this constantly evolving neighbourhood. The stylish colour plalette of warm blues, greens, and lilac will bring a soothing tranquility to the Ledingham McAllister new Burnaby real estate condos at Essence high-rise, a tranquility that will be preview of the suites themselves. Luxury and prestige are de riguerur here, expressed in attention to the smallest details right down to the Feng Shui design principles and Zen-like gardens where home owners can relax in privacy and comfort. This all adds up to the finest living experience possible in the central Burnaby real estate marketplace by Ledingham McAllister. The Edmonds neighbourhood itself is one of the Lower Mainland’s lesser known gems. Located lamost directly at the geographic centre, there is a quietness here at the new Essence Burnaby condos. Just minutes away is Byrne Creek Ravine Park, an oasis of lush greenery that’s criss-crossed with trails and filled with wildlife. Just across the street is the new Taylor Community Park, and bareful a five minute drive away from the new Burnaby real estate condos at Essence Central Burnaby are well-maintained walking paths along the Fraser River. For more formal recreational offerings, check out the Riverway Sports Complex and Riverway Public Golf Course, now considered one of the Lower Mainland’s premier golf courses. This is the new condos at Essence Burnaby by Ledingham McAllister. A new Burnaby condo property that has great value for investment, capital gains appreciation and an ideal location. Please visit www.ledmac.com for more information. With compliments and testimonials pouring in from the day Brentwood Gate Burnaby real estate community was launched, Ledingham McAllister soon identified another niche of consumer demand – this time back in the Lower Mainland and just across the street from the wildly popular master-planned Burnaby community. Situated at the corner of Douglas Street and Dawson Street, Burnaby new condos at Perspectives Ledingham McAllister will rise to the challenge of recreating the success of this real estate developer’s Fitzgerald Tower at Brentwood Gate. “Demand for Fitzgerald Condos was unprecented,” Manuela notes. “The fact we are virtually sold out so far ahead of schedule tell su there is a demand for high-rise Burnaby new homes with superior quality. By acquiring this real estate property, we can respond to that demand.” But make no mistake, this Perspectives condo high-rise Burnaby real estate property development by Ledingham McAllister is no mere copycat – its character is as unique as the people who will call the pre-construction Burnaby Perspectives Condos homes. The theme is inspired by crisp, modern aesthetic city-savvy home purchasers insist on. Boasting two distinctive colour schemes – the white Shaker cabinetry with luscious dark granite of the Classic design scheme or the rich, dark cabinetry with glass accents that makes up the contemporary palette- the new condos at Perspectives Burnaby high-rise residences takes all the thoughtful details from Brentwood Gate and gives them a sparkling, updated look. Well aware (perspective is everything) this Burnaby new real estate development will offer a limited collection of new cityhomes in addition to the Ledingham McAllister Burnaby high-rise residences. “A perspectives can be defined as a visible scene extending to the distance or as the relationship of different aspects of a single subject,” Manuela explains. “These different perspectives tanslate into different reasons why a home buyer chooses to purchase in a particular real estate development – views, investment potential, convenient location, a larger home to accommodate a growing family’s needs. Because this Perspectives Burnaby condo new site offers many different options, it can accommodate a broad range of home buyers – a broad range of different perspectives for homeownership.” This is the new pre-construction Perspectives Condos high-rise residences by Ledingham McAllister in Burnaby. Other Burnaby Real Estate Pre-Sales are listed here. As a priority registrant, we are pleased to announce that excitement continues to build in anticipation of Perspective Condos’ Summer Preview Sales commencing Saturday June 7 at noon sharp! The response to Ledingham McAllister’s Burnaby real estate latest collection of high-rise residences has been truly overwhelming. Building on the outstanding success of Brentwood Gate community master planning, we are proud to present this highly anticipated collection of Perspectives high-rise Burnaby residences to the Brentwood neighbourhood. The stunning 29 storey condominium tower pre-sales with sleek lines of glass and concrete will feature soaring views in all directions. Poised to become the next Ledingham McAllister landmark pre-construction Burnaby real estate community within the Brentwood Town Centre, Perspectives Condo presales will feature a range of home styles to suit your needs. This exclusive collection of one bedroom and den to three bedroom residences will feature open concept floor plans, chef inspired kitchens and luxurious bathrooms. At this time, we would also like to introduce our sales team at Perspectives Burnaby condo development of Louise Barbour and Lily Liu. Together, they bring mnay years of sales experience in presales condos in Burnaby marketplace. Louise and Lily will be contacting all pre-registrants shortly to better understand your needs and answer nay questions you may have in advance of the Burnaby Ledingham McAllister Perspectives Summer Previews Sales. In the meantime, if you have any questions, feel free to leave a message at 604.294.4995 or email Perspectives by Ledingham McAllister at perspectives@ledmac.com. According to the West Coast Home and Design magazine: Ledingham McAllister’s 29 storey condo presales tower combines both excellent location with convenience, amenities and a truly relaxed lifestyle. With its sleek lines of glass and concrete, the pre-construction 29 storey tower residence in Burnaby real estate will provide incredible outlooks in all directions. These views from the Perspectives Ledingham McAllister condominium tower no doubt served as inspiration for creating presale shomes that are modern and elegant, with clean lines and open floor plans. Each home in Perspectives Burnaby condos comes with such standards as hand-set ceramic tile flooring, in the entry foywer, kitchen and bathrooms, contemoprary fireplaces, expansive windows in all rooms and spacious private balconies for outdoor entertainment. The gourmet kitchens at the Burnaby condos Perspectives presales come with a choie of wood veneer cabinetry in a classic white shaker style or a contemporary flat panel wood grain fitted with stylish brushed chrome pulls. The granite coutnertops are beautifully complemented with handset porcealain tile backsplashes and superior quality stainless steel appliances by Whirlpool. Each bathroom at the Perspectives pre-sales Burnaby condo properties has Kohler fixtures and is designed to please every need. The ensuite bathroom at Perspectives condominiums by Ledingham McAllister Burnaby real estate developers for example, has a soaker tub and modern ceramic tiling surround, perfect for pampering, while the tastefully appointed powder rooms have spacious under counter wash basisn and polished chrome accessories. Within the condo Perspectives building itself are a number of amenities, including a fully equipped fitness centre and conference room. And for entertaining a crowd at your pre-construction Burnaby Perspectives condo home, there’s a sprawling terrace with bbq an dramatic vistas. Addressing needs: In terms of location of the Perspectives Burnaby condo pre-sales, there is nothing equal to this development. This new landmark is situated right across the street from Ledingham McAllister’s hugely successful Brentwood Gate community. Just a few steps beyond Perspectives pre-construction condos is a world of unlimited convenience within the neighbourhood. Modern amenities, convenient transportation and Burnaby’s many parks and recreational opportunities are merely a leisurely stroll away. Summer Sales Preview Promotions at Perspectives Condominium Residences! Ledmac Presents the Summer Preview Sales for Perspective Condos Now! Ledingham McAllister has recently launched the summer preview presales for the new Burnaby condos at the Perspective high-rise residences. A luxurious highrise tower home whre you can fit a king size bed and dresser in the bedroom and still have room for you. What about a dining room that can comfortably seat eight for dinner? Yes, you can at Perspectives Burnaby condo residences. More space. More living. It’s all possible. Get a better perspective on living at the Ledmac built new Burnaby condo tower at Perspectives. The presentation centre is now open and the condo suites are priced from $299,900. Call 604.294.4995 or email perspectives@ledmac.com. Summer previews sales prices draw home buyers to Perspectives Condos in Burnaby real estate market. Ledingham McAllister recently launched the 29 storey condo tower and exclusive Burnaby townhomes that offer a broad spectrum of pre-sales residences in Brentwood area. The Perspectives Brentwood condos are centrally located close to the SkyTrain station, green spaces, beautiful landscaped pathways, shopping, downtown Vancouver and other local conveniences for shopping and dining. The Ledmac properties at the pre-sale Burnaby Brentwood Perspectives condo tower features one bed to two bedroom plus den suites and also three bedroom pre-construction Brentwood residences for sale and they are scheduled for the completion in the fall starting from less than $300k. In addition to the concrete 29 storey condo presales Burnaby residence tower, the Perspectives Brentwood real estate development will also feature eight townhomes. Home buyers to date have been a wide range of empty nesters to first time home buyers, signifying that the price point, affordability and floorplans cater to a wide variety of individuals and families. Standards at the preconstruction Burnaby Perspectives Ledingham McAllister property are modern, custom designed and are contemporary with electric fireplaces, entry foyers with ceramic tiling, expansive windows for views and private balconies. With granite or stone counters, handset porcelain tile backsplashes and Whirlpool stainless steel appliance set, the masterful kitchens are a delight. The ensuite bathrooms are large with soaker tubs, modern ceramic tiling, power rooms, kohler bathroom fixutres and polished chrome finishes. For more information about the new Burnaby condos at Perspectives in Brentwood neighbourhood, please visit their sales centre or call ahead to book an appointment. From urban amenities to convenient transportation and lots of green space all around you, the pre-construction Burnaby Perspectives condo tower offers a wide range of floor plans and layouts that are suitable for any lifestyle. The Burnaby real estate market has not seen such a luxurious condominium tower before, and the new Perspectives Condos are built by trusted and well established Ledingham McAllister. The condo tower will be a total of twenty nine stories offering everything from community green spaces to urban conveniences and close proximity to transportation routes. This new landmark is situated right across the street from the Brentwood Gate neighbourhood, a master planned Burnaby community by Ledingham McAllister. With its sell lines of glass and concrete, the pre-sale Burnaby Perspectives condominium tower provides incredible vistas from all floors and all directions. In addition, the homes at the new Perspectives Burnaby condos provide modern and sleek interior finishings with expansive windows, large kitchens and bathrooms, ceracmic imported tiles, hardwood flooring and outdoor spaces for entertainment. The new Perspectives Burnaby condo tower also features community amenities that include a fully equipped fitness gym, conference room, sprawling outdoor terrace and many others. The Silhouette new pre-construction condos: an encore presentation. On the opposite side of Burnaby, Ledingham McAllister is making yet another bold move with Silhouette Condos. Designed by award winning architect Larry Doyle, Silhouette’s two new Burnaby condo towers boast a sleek, modernist look and plenty of interior design pizzaz – floor-to-ceiling windoss, gourmet kitchens and the flowing, open concept floor plans demanded by today’s busy lifestyles. It’s a combination that continues to attract big time attention to Lougheed Town Centre new Burnaby homebuyers looking for the conveinece of a Burnaby real estate location near shopping, major transportation roots, SkyTrain, a plethora of both formal and casual recreation options, as well as two higher education facilities – Simon Fraser University and the main campus of Douglas College. Now well under construction, the Lougheed Town Centre presales Silhouette Condos Burnaby residences will also ultimately have the distinction of becoming Burnaby’s two highest high-rise residential buildings. And thanks to a stellar hillside location, Burnaby Silhouette pre-construction condos will also offer some of Burnaby’s finest views – a choice of sweeping vistas rnaging from Mount Baker to the North Shore to the downtown Vancouver skyline with the Gulf Islands shimmering in the distance. Boasting dramatic vertical arhictectural lines by Ledingham McAllister Properties, and the inherent elegance of gleaming glass and concrete construction, Burnaby Silhouette’s very name reflects how each condo tower profile is subetly echoed by the other thus creating a sense of rhythm and balance as well as a distinctive streetscape. Here too, the theme is clearly to blend urban amenities with green, outdoor spaces. A central courtyard at the new condos at Silhouette Residences in Burnaby BC will have a sparkling waer feature and stylish brick accents features at 30,000 square foot, rooftop garden with walking trails, a tranquil reflection pond dotted by stepping stones, and clusters of roses gardens on either end – all connected to the Burnaby Silhouette condo twoers via a pair of private third-floor pedestrian sky bridges. The Ledingham McAllister Properties’ Silhouette Burnaby Condo pre-construction property will have a brand new NorthGate Village which will offer a mix retail anchored by Save On Foods, Signature BC Liqour Store, and Shoppers Drug Mart on the main retail floor of Silhouette An Encore Presentation. These new Burnaby condos pre-construction properties at the Silhouette Residences signals the continuation of a long-anticipated revitalization of the neighbourhood surrounding Lougheed Town Centre. A prime example of this trend can be seen at Appia’s Motif at Citi condo residences – a striking, 30-storey tower condominium beginning to take shape in North Burnaby, at the northeast corner of Lougheed Highway and Roser Avenue. Plans at this sought-after location call for a residential condo tower with 148 condo suites, five street level townhomes and a mixed-use retail and office building. These two structures will ultimately be linked together via a central landscaped courtyard graced with lush gardens and walkways. “Many of the buyers at Motif at Citi homes are not only end users – a lot of them are already living in the area,” says real estate marketing manager Bonnie Henriksen. She says Motif at Citi north Burnaby’s condo homes incomparable location is proving to be a key selling point among these homebuyers. “You simply do not need a car when you live there,” she says. “Everything is within easy walking distance – the Millennium Line’s Brentwood SkyTrain station, Brentwood Mall, Madison Centre, Save-On Foods, Winners and plenty of great restaurants”. All are close to the North Burnaby Motif at Citi condo residences. Adding to the allure of Motif Burnaby condos at Citi community are the homes themselves, which are spacious, well designed and exceptionally appointed. They come in a variety of configurations aimed to suite every age and need, from one bedroom and den (821 square feet), two bedrooms (895 to 1,328 square feet), to roomy City Motif three bedroom and den sub-penthouse residences (2,166 sqf). The townhomes at Motif at Citi real estate development range from 1,847 to 1,855 square feet. Motif at Citi Burnaby condos also sets a new standard with its thoughtfully planned feature list, one that includes laminate wood flooring in the main rooms that complement warm ginger or mocha colour schemes, wood baseboards, and cosy electric fireplaces. The kitchens have contemporary oak veneer cabinets, CaesarStone quartz countertops and an impressive appliance package that comes in white, black, or stainless steel. Bathrooms exude luxury, with their soaker tubs, separate showers in most Motif homes at Citi North Burnaby and top-end chrome faucets and fixtures. Many of the Motif Homes at Citi also include expansive views of the North Shore Mountains, Vancouver and the Burnaby skyline, and, in another example of attention to detail, Appia has ensured there are substantial balconies from which to enjoy these vistas. Onsite amenities further enhance the comfort and convenience of Motif at Citi, and include a fully equipped fitness centre, spa, steam room, and sauna. There is also a meeting room, a social lounge, with billiards table and outdoor barbeque area. There is also the peace of mind and security that comes with buying in an Appia built real estate development such as Motif at Citi in North Burnaby, a name that has become synonymous with quality, durability and long-term real estate investment value. Prices for the condominium homes in Motif at Citi start at an affordable $395,000. The Motif at Citi sales centre at 1801 Rosser Avenue (at Halifax Street) in North Burnaby is open daily from noon to 5pm except Fridays. For more information telephone 604.298.8800, website: www.motifatciti.com. Seize the moment today. Your defining moment is now here in the spectacular new Brentwood Motif at Citi condominium development. The exclusive two bedroom new Burnaby homes are priced from just $390,600 during this final release of Appia Group of Companies condominium residences. Every once in a while life offers an opportunity that surpasses all expectations. Motif at Citi condo homes is a spacious urban retreat centrally located in Burnaby real estate’s vibrant Brentwood community. The pre-sale Motif condos at Citi Brentwood Burnaby have interiors that are slee and sophisticated with a great combination of glass, stainless steel, wood and great views both day and night. The pre-construction Brentwood Motif at Citi condo tower residences in the Burnaby real estate market also feature a convenient location close to shops, restaurants and even a private fitness spa. You will also be just 15 minutes away from downtown Vancouver by SkyTrain. A new Burnaby home at Motif at Citi Brentwood condos will shape the quality of your future. The Sales Office for this new Burnaby condo development at Motif Condominiums at Brentwood’s Citi master planned community is now open between noon to 5pm at 1801 Rosser Ave or you can visit motifatciti.com. A blend of retail and commercial space in addition to ground level entry Burnaby townhomes and a thirty storey condo tower residence, the Appia Motif at Citi is a well planned community neighbourhood that functions as a city within a city. Appia Group of Companies is the builder for the Motif at Citi condos and townhomes in the Burnaby real estate market and this ideal community provides a blend of contemporary living spaces with convenient location to all residents homebuyers. Sales so far at the pre-construction Motif at Citi condominium Burnaby property project are unprecedented with a number of condos and townhomes sold on opening day. Just next door to the presale Burnaby Motif condos is the Millennium Line SkyTrain station in addition to Brentwood Mall, Madison Centre, and bix box Burnaby stores. The striking 30 storey Burnaby condo tower at the Motif at Citi project is at the north east corner of Rosser Ave and Lougheed Highway in the northern part of the city and will feature a total of 148 condo homes in the tower in addition to five exclusive Buranby Motif townhomes for sale. The two structures will be linked by a beautifully and professionally landscaped central courtyard podium with walkways and green spaces for residents to enjoy. Spacious and well appointed about 95 pre-sales condos and townhomes have already been sold at the Motif Burnaby real estate development. Ranging from one bed plus den at 821 sq ft all to the way to two bedrooms homes that range from 896 to 1328 sq ft and three bedroom family homes and sub penthouses that are spacious at around 2166 sq ft, the Motif at Citi floor plans are definitely on the upper range of sizes when it comes to new Burnaby condos. In addition, the Motif Townhomes are close to 2000 sq ft in size, ideal for growing families and couples who will enjoy ground street level entry. Appia has also thought through about the local amenities on site that will include a fitness centre, spa, steam room and sauna in addition to an outdoor entertainment terrace, social lounge, billiards table and meeting room. The Burnaby Motif at Citi condos and townhomes is an Appia built development, meaning that you can count on long term investment value, durability and quality in design and construction. Two bedroom homes at the Burnaby Motif condominiums are now priced from an affordable $390,600 only! Imagine living in a spacious modern home at Motif at Citi real estate development, in the heart of Burnaby’s vibrant Brentwood community. The interiors of the pre-construction Motif at Citi condo tower residences are sleek as well as sophisticated, perfect for entertaining. Large open kitchens feature Caesarstone countertops and deluxe stainless steel appliances while expansive windows and balconies showcasing stunning views night and day grace every presale Burnaby condominium at the Motif at Citi development. Relax and enjoy every single moment while you live in this master-planned Burnaby Brentwood community at Motif at Citi. Shops, restaurants, and a private Motif at Citi fitness club and spa are just an elevator ride away. The best part of it all, you’re only fifteen minutes from downtown Vancouver by SkyTrain that is just next door to your new home at Motif Burnaby condos. Seize the moment and get into the Burnaby real estate market during these great times. The Motif at Citi sales office is located at 1801 Rosser Ave in Burnaby BC and you can call 604.298.8800 for additional details. 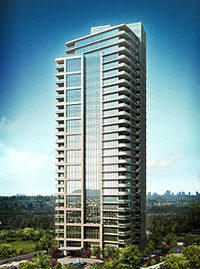 Appia Group of Companies is the builder for the pre-construction Burnaby Motif condos. A new urban living experience is being presented at the new landmark condo towers at the Motif at Citi Burnaby property developments which brings together contemporary design and striking architecture in these two landmark towers. The presale Motif at Citi Brentwood condos is a thirty storey residence plus five street level Motif townhomes which will be linked to its sister commercial and office building by a spacious landscaped courtyard for all to enjoy. The construction has already began, so there should be no problems with homebuyers worrying about cancellations of projects like other developers. Many of the Burnaby Motif condominiums at the Brentwood Citi community have generous balconies and outdoor living spaces with great views of Mount Baker. Standard features include hardwood engineered flooring, carpeting, gourmet kitchens, islands, oak cabinetry, wood baseboards, sandblasted French doors, electric fireplaces and luxurious fixtures in every room. The pre-construction Burnaby Brentwood Motif at Citi real estate development also features lots of living space and storage space within your residence, a unique feature that has almost disappeared in all other condo tower residences. Walking distance to not only the SkyTrain, the Brentwood Motif condominiums are also close to Brentwood Mall and Madison Centre as well as big box stores. With a large fitness gym and spa area, residents of the preconstruction Motif at Citi condos can get social or just relax with these many luxury resort style amenities within their own building. The condos at Motif range from 821 square feet while the impressive two bedrooms start from 1328 square feet. The grand three bedroom plus den sub penthouse Motif at Citi Brentwood condominiums offer 2166 sq ft of living space. The new Burnaby townhouses at the Motif at Citi townhomes range from 1847 to 1855 sq ft and start from just under $400’s. LONDON STATION II RICHMOND CONDOS FOR SALE -GST INCLUDED! CHRISTMAS BLOWOUT SALE is now happening here at the new Richmond condos at London Station real estate development. REMAINING UNITS NOW SELLING WITH GST INCLUDED! EVERYTHING YOU LOVE ABOUT STEVESTON'S LIFESTYLE, RIGHT OUTSIDE YOUR DOOR. Take full advantage of a great Steveston Richmond real estate neighbourhood with a sense of place, picturesque charm and unique attractions, and the convenience of being able to walk to a wide variety of popular shops, schools and services just steps away from the new London Station Richmond condo development. London Station Richmond apartments for sale is your chance to own a home in this award-winning Steveston real estate community – one of the most sought-after places to live in Richmond. Don’t miss out. Live the dream at London Station Steveston condos for sale. DISPLAY SUITE and the fully furnished display is now open weekends on Saturday & Sunday 12pm - 4pm at #201-6077 London Road, Steveston. Call, or visit us today. 604.274.7326 or londonlanding.com. The new London Station Richmond condos for sale in Steveston are ready for immediate occupancy. Brought to you by Oris and Penta Builders. Steveston Richmond London Landing Grand Opening September 12th and 13th! Everything you love about Stevestone Richmond real estate market is now right outside your door. The luxurious Steveston London Landing display suite is now open. There, you will be able to see first thand what makes these exceptional Richmond homes for sale one of the best selling Steveston projects ever. Exquisitely detailed interiors expand these spacious homes while showcasing a stunning Stevestone Richmond real estate riverfront location. Take full advantage of a great neighbourhood with a sense of place, picturesque charm and unique attractions and the convenience of being able to twalk to a wide variety of popular shops, schools and services. The pre-sale Richmond London Landing Steveston condo homes for sale is your chance to own a riverfront home in this award winning community – one of the most sought after places to live in the Richmond BC real estate market. Don’t miss out. Live the dream at London Station Steveston today! View the fully furnished display home today and inquire about the available units that are now also open to immediate occupancy for homebuyers so there are no pre-sale waits. Open weekends from noon to 5pm at 6077 London Road, Steveston Richmond. Custom crafted London Station Richmond condominiums with private balconies and roof top decks that overlook this quiet neighbourhood and the riverfront are still available at this boutique development that features only 22 units for sale with square footage sizes around 1066 sf. With presale pricing starting from just $459,900, nothing beats the new Steveston London Station condo prices. With beautiful views out to the Fraser River and even the Gulf Islands, these picture perfect vistas can now be yours to keep. This is the second and final phase of the London Station Richmond real estate development that has inspired west coast architecture, contemporary sophistication and finely crafted details throughout. Most residences have outdoor living spaces and the London Station Richmond floor plans range from studio layouts all the way to two bed plus den floorplans. Being a mixed use development as well, residents can enjoy retail just underneath. The chef inspired kitchens at the London Station Steveston condos for sale will have stainless steel finishes, granite, glass tiled back splashes as well as eco friendly bamboo flooring, which is quite attractive and unique. In addition, there is a geothermal heating and cooling system that will save you money on energy consumption and is very environmentally friendly. There are deep soaker tubs and separate showers in some floor plans here at the Richmond London Station condos for sale and if you enjoy watersports and outdoor pursuits, the location is impeccable. The grand opening for Phase 2 of London Station Condos is set for September 12th and 13th, so don’t miss your opportunity to purchase two bedroom Richmond condominiums for a great price. The developers of London Landing Phase 2 will also be offering the Steveston Richmond Pier condos along the watrerfront which will feature a mixed use, 83 new apartment complex and 20,000 square feet of retail space. There is also a public market, waterfront restaurant, promenade and much more. The Pier at London Landing will be coming next summer. Straight from their direct marketing: As a registrant of Hennessey Green by Polygon, we wanted to keep you updated on the latest news about these distingquised Hennessey Green townhomes in Richmond’s up and coming neighbourhood of Alexandria Gardens. Hedged by a future lushy, five acre park and just minutes from the very best in shopping and fine dining that Richmond has to offer, this is a place where sophisticated living and urban conveniences will effortlessly converge. The homes at Hennessey Green Townhomes in Richmond BC revive the classic charm of English Arts and Crafts style architecture, and offer three and four bedroom floorplans featuring gourmet kitchens, air conditioning, entertainment sized living and dining rooms, and spacious decks for gracious outdoor living. Thoughtful environmentally friendly features at Richmond real estate Hennessey Green by Polygon Homes, such as low-E glazed windows, energy efficient appliances and dual flush water closets, will allow you to keep in step with the latest eco friendly lifestyles. Residents at the Polygon Hennessey Green Richmond real estate townhome pre-construction properties will also enjoy exclusive access to the private clubhouse, The Hennessey Club, where they can keep active in the fitness steudio, indulge their competitive side in the games room, and enjoy an evening sunset on the exterior patio with outdoor fireplace. As an overwhelming number of people have already expressed interest in the Richmond real estate pre-sales development at Hennsessey Green Townhomes in Richmond BC, we encourage you to call us at 604.871.4221 or send them an email at hennesseygreen@polyhomes.com; we look forward to helping you select your Hennessey Green Richmond town home that is right for you. Sincerely, Polygon Hennessey Green Development Ltd, Lana Tse, Sales Manager. 9800 Odlin Road Richmond, BC V6X OC2 | tel 604.303.6840 | fax 604.303.6841. Richmond’s Newest Neighbourhood: Hennessy Green by Polygon - Now Selling! Greetings from Hennessy Green pre-sales Richmond rela estate , Polygon’s executive style townhomes in Richmond’s newest neighbourhood, Alexandra Gardens. I am excited to let you know that our recent Hennessy Green townhouse presales opening was a great success with 31 homes sold on opening weekend. Homeowners love the convenient location of these three and four-bedroom Hennessy Green homes next to new parks and the highest ranked public elementary school in Richmond - Tomsett Elementary. The best in shopping and fine dining that Richmond real estate market has to offer is also only minutes away. The soothing coolness of air-conditioning in the open-plan interiors of the Hennessy Green townhomes is also a bonus, along with exclusive access to the resort-inspired amenities of the private clubhouse, the Hennessy Club, featuring the latest in geothermal heating and cooling. With prices starting from $459,900 and a limited collection of homes, we encourage you to visit us again soon. Our Hennessy Green Town Home presentation centre is located at 9800 Odlin Road, Richmond, BC. Greetings from Hennessey Green, Polygon Home’s executive style Richmond townhomes in this newest neighbourhood, Alexandra Gardens. I am excited to let yo know that our recent opening was a great success with 31 pre-construction townhomes at Hennessey Green by Polygon sold on opening weekend. Homeowners love the convenient location of these three and four bedroom homes next to new parks and the highest ranked public elementary school in Richmond – Tomsett Elementary. The besting shopping and fine dining that Richmond real estate has to offer is also only minutes from the Polygon Hennessey Green townhome development. The soothing coolness of air conditioning in the open plan interiors of the pre-sales homes is also a bonus, along with exclusive access to the inspired amenities of the private clubhouse, the Hennessey Club, featuring the latest in geothermal heating and cooling at Hennessey Green by Richmond Polygon real estate developers. With prices starting from $469,900 and a limited collection of homes, we encourage you to visit us again soon. Our presentation centre is located at 9800 Odlin Road in Richmond, BC. Polygon Hennessey Green Development Ltd. Lana Tse – Sales Manager. Hennessy Green by Polygon - Phase 2 Opens This Saturday! Greetings from Hennessy Green, Polygon’s executive style townhomes in Richmond’s newest neighbourhood, Alexandra Gardens. I am excited to let you know that after a very successful sales launch, our next release of preconstruction new Richmond homes at Hennessy Green Condos will be available for sale this Saturday. These 3 and 4-bedroom new Richmond real estate homes boast a great location; many border the central courtyard. In addition, we will be releasing a limited number of 4-bedroom presales duplexes situated next to Alexandria Gardens park in Richmond real estate. With a great deal of interest already received about the Polygon Hennessey Green new Richmond condo property, we encourage you to come by our sales office this week for a special preview. Come see our three beautiful display homes at Hennessey Green, including a brand new 4-bedroom suite that has just been completed. As a reminder, our presentation centre is located at 9800 Odlin Road, Richmond, BC. Sincerely, POLYGON HENNESSY GREEN DEVELOPMENT LTD.
Alexandria Gardens Hennessy Green by Polygon - Phase II Release a Great Success! We wanted to keep you updated with the latest news at Hennessy Green, Polygon’s executive-style townhomes in Richmond’s newest neighbourhood, Alexandra Gardens. Our sales office has been a busy place. After a very successful presales Richmond townhome pre-construction sales launch four weeks ago, we released our second phase of Hennessey Green Polygon homes last weekend. Now, with more than half of the homes sold in this short time, it is clear Hennessy Green by Polygon is a popular choice among today's pre-construction Richmond home purchasers. There is still an excellent selection of pre-construction Richmond homes available. These 3 and 4-bedroom Hennessey Green town homes boast great locations, bordering the central courtyard or the future park. We encourage you to visit again soon to take a tour of our three spectacular display models, and find a home at Hennessy Green that is right for you. As a reminder, our presentation centre is located at 9800 Odlin Road, Richmond, BC. We are open daily except Friday from noon until 6pm. Sincerely, POLYGON HENNESSY GREEN DEVELOPMENT LTD.
As the new sales manager at Hennessy Green Richmond real estate, I wanted to take a moment to introduce myself and keep you informed of the latest news at this executive-style pre-construction townhome community in Richmond’s newest neighbourhood, Alexandra Gardens. After successfully selling out our first phase of Hennessy Green Polygon real estate properties in Richmond and celebrating a tremendous launch of our second release, it is clear that Hennessy Green is a popular choice amongst today's townhouse homebuyers. More than half of the total homes have been sold in just two short months; the Richmond community is taking shape and our first homeowners will move in later this month. With summer here, we look forward to seeing homeowners enjoying barbecues on their outdoor patios and discovering all the Hennessy Club has to offer. The newly-released pre-construction Richmond Hennessy Green townhomes three and four-bedroom homes boast some of the best locations within the community, bordering the central courtyard or the future park. We encourage you to visit again soon and find a home at Hennessy Green town homes that is right for you. As a reminder, we are open from noon until 6pm daily except Fridays. Greetings from Hennessy Green, Polygon's executive-style townhome community in Richmond’s newest neighbourhood, Alexandra Gardens. Since our recent opening, our Richmond real estate sales office has been a very busy place, and with much of our first release sold out, we are excited to announce that on Saturday, August 9th, we will be offering our final release of pre-consruction Hennessy Green Polygon Richmond homes for sale! Here is a more detailed look at one of the home plans that will be released this weekend: Hennessey Green Empress Series | 4 Bedroom | Approx. 1748 Sq Ft. The largest presale Richmond Polygon homes at Hennessy Green, these duplexes boast a prime location backing onto five acres of parkland. Well-designed layouts feature an abundance of natural light, the soothing coolness of air-conditioning, and chef-inspired kitchens with granite countertops and stainless steel appliances. These spacious pre-construction new Richmond homes are sure to impress. I encourage you to visit early on Saturday to ensure the best selection at Hennessey Green homes in Richmond real estate. In the meantime, if you would like further information about Hennessey Green’s final release of presale homes, please feel free to call me at 604-303-6840. As a reminder, our presentation centre is located at 9800 Odlin Road, Richmond, and is open from noon to 6pm daily except Fridays. Sincerely, POLYGON HENNESSY GREEN DEVELOPMENT LTD.
Greetings from Hennessy Green townhouses, Polygon's executive-style townhome community in Richmond’s newest neighbourhood, Alexandra Gardens. We are excited to report that our first group of Alexandra Gardens new Richmond homeowners has just moved in. In addition to enjoying their beautiful new presale Hennessey Green townhomes, our pre-sale Richmond homeowners have also quickly seized the opportunity for a little summer fun and entertaining in their private clubhouse, the Hennessy Club by Polygon Homes. Construction of our Phase II pre-construction Richmond town homes is also well underway. If you have not visited us lately, we invite you to come by and see for yourself how this Alexandra Gardens townhomes community is beginning to take shape! Just last week, new Richmond Hennessy Green town homes was featured in the Vancouver Sun, and our presale office has been a busy place as a result. It was great to read about the many awesome things the article had to say about the community. In case you missed it, we have attached the article for your review. We look forward to seeing you again soon at our Polygon Hennessy Green Richmond townhouse presentation centre, located at 9800 Odlin Road; as a reminder, we are open daily from noon – 6pm except Fridays. Should you have any questions or desire further information, please do not hesitate to call us at 604-303-6840. Sincerely, POLYGON HENNESSY GREEN DEVELOPMENT LTD.
Greetings from Hennessy Green Richmond Townhouses for Sale, Polygon's executive-style townhome community in Richmond. Our pre-construction Richmond Hennessy Green sales office has been a very busy place over the past few months, and to ensure that we continue to provide the best service possible, we now have an additional sales manager to serve you! I am pleased to introduce Dina Ko; together with Dina, we look forward to helping you find a home at Hennessy Green townhomes in Richmond real estate market that is right for you. With the holiday season upon us, Polygon is now making mortgage financing available at 3.95% for 5 years* - that's a savings of up to $500 a month for a full 5 years, or $30,000 in total. However, this promotion is only available until Sunday, December 14th, 2008. With great prices at the pre-sale Richmond Hennessy Green townhomes, the security of a low long-term financing rate, and homes available for immediate occupancy, there has never been a better time to purchase a home at Hennessy Green Polygon townhouses. We encourage you to visit us soon to take advantage of this exciting offer at Hennessy Green. As a reminder, we are open from noon to 5pm daily except Fridays and are located at 9800 Odlin Road, Richmond. *Please see sales staff for details. Celebrating the grand opening of their second phase, the London Station Steveston Richmond display suite opens Saturday, April 12th at 415 – 6233 London Road in Steveston real estate. Exquisitely detailed interiors and a stunning riverfront location that’s walking distance to a wide variety of ppular shops, schools, and services as well as the much loved boardwalk and promenade of Steveston Village make this a not to be missed real estate purchase opportunity at Richmond’s waterfront London Station condos. Priced from $439,900. The London Station Stevestone display suite is open weekends from noon to 5pm or you can visit the Re/Max sales office located at 12235 No 1 Road in the heart of Richmond real estate and open weekdays from 9:00am to 5:00pm and again on weekends between noon to 5:00pm. For details about Steveston London Station Phase 2 in the hot Richmond property market, please call 604.274.7326 or visit www.londonlanding.com. Phase 2 is now selling at the Steveston London Station Landing property real estate Richmond BC. You can’t afford to miss this purchase opportunity with 2 bedroom units priced from just $439,900. The grand opening event was Saturday April 26th. The London Station Steveston real estate display suite just opened to much fanfare. There, you’ll be able to see firsthand what makes these exceptional homes. Exquisitely detailed interiors expand these spacious homes while showcasing a stunning riverfront setting. Take full advantage of a great neighbourhood with a sense of place, picturesque charm, and unique attractions close to the Steveston Richmond real estate market at London Station Landing. The convenience of being able to walk to a wide variety off popular shops, schools and services. The pre-sales Richmond condos at London Station Steveston is your chance to own a luxurious home in an award winning community – one of the most sought after places to live in Richmond BC. Don’t miss out. Live the dream at London Station Steveston real estate development. The RE/MAX Sales Office is at 12235 No. 1 Road in Steveston Richmond property and is open Mon to Fri between 9am to 5pm and weekends between 12 to 5. 604.274.7326 or www.londonstation.ca today. The new display suite for the London Landing condos in Steveston property market is at Unit 415, 6233 London Road and is open Sat and Sun between noon and 5pm. Don’t miss the latest pre-construction condo release within Steveston’s Premier Neighbourhood – only 7 pre-sales Richmond home remain in Phase 1! Come celebrate Chinese New Year with us this weekend and we'll give you a Mercedes-Benz SUV* valued over $70,000 with the purchase of a new pre-sale Polygon home at Hennessy Green in Richmond! Yes, it's true. The executive three and four bedroom new Richmond BC homes at Hennessy Green by Polygon real estate developers now come complete with a 2009 Mercedes-Benz ML320BT*. Now you can enjoy generous space, designer details, and exceptional comfort whether you're at home or on the road. Shop and compare, we're confident you won't find better value anywhere else in Richmond BC real estate market. No reservations, no gimmicks, just show up this Saturday, January 24th and you'll receive a new luxury vehicle with the purchase of your new executive Hennessey Green Richmond home. We encourage you to come see us before Saturday to receive further information on the Mercedes promotion at Hennessey Green and to pick out the home that is right for you. As a reminder, we are located at 9800 Odlin Road in Richmond real estate community and are open noon to 5pm daily except Friday. Here are some features of the presale Richmond homes at Hennessey Green Polygon: 3 and 4 bedroom townhomes up to 1,800 square feet, Central location in Alexandra Gardens neighbourhood near new parks, greenways, schools and shopping and Private Clubhouse with fitness studio, lounge, games room, and outdoor terrace. *Based on a 2009 Mercedes-Benz ML320BT with a total promotional value of $75,318. Promotion only applies to firm contracts of purchase and sale entered into between January 24 - February 1. Ask sales staff for details. Polygon Hennessy Green Development Ltd.
A new view on Steveston in Richmond real estate market is taking shape in the second phase of London Station Condos, one of the last master planned phases in this most desireable of neighbourhoods. True waterfront condo living in richmond’s Steveston neighbourhood community is now available at this new pre-construction sales event. A great new development article about London Station was written by Susan B. and published in the New Homebuying Guide of Vancouver just recently: Looking for a new home on the river? Somewhere with rural charm, contemporary sizzle, and easy access to everything? Introducing London Station II condo pre-construction sales in Richmond’s Steveston community, one of the most unique masterplanned communtiies in all of Greater Vancouver. Located only steps from the banks of the Fraser River, this four storey condominium boasts spectacular views of Mounta Baker, farmlands, the riverfront and across the North Shore Mountains. Here at Steveston’s London Station condo residences, spectacular sunsets and outdoor activities are a way of life. Steveston real estate itself is filled with an ecletic vibrancy that’s reare and much sought after. And living at the pre-construction London Station condos in Richmond BC means you’re poised to savour the very best of this outstanding lifestyle. In summer, a stroll along the boardwalk brings you to seasie restaurants, boutiques, bakeries, as wellas one of the Lower Mainland’s best Fish and Chips shops. Yes they still do serve your selection wrapped neatly in a cone made from newspaper, the Steveston way. Hiking and biking enthusiasts will find miles of dyke trails awaiting exploration right outside their front door. Or perhaps renta kayak, grab the fixings for a picnic at your local organic grocer and set out for the day on the water. On the way home to Steveston London Station condominium residences, popu into the VQA wine store for a bottle of your favourite BC vintage before a quick stop to pick up the pizza. When you’re ready for city pleasures of Steveston Richmond, the shopping meca of downtown Richmond is a short 10 minute drive from the master planned Steveston London Station community. Here along No 3 Road you’ll also find a selection of restaurants and markets sure to satisfy your every gourmet food craving. London Station pre-construction Steveston real estate condos offers a total of 97 pre-sales condominium homes ranging from a 485 square foot studio to a 1,370 square foot three bedroom suite. The pre-sales London Station display suite is open weekends from noon to 5:00pm at 422-6233 London Road (London Station I), or you can visit the Steveston Re/Max Real Estate Richmond sales office located at 12235 No 1 Road in the heart of Steveston real estate and open weekdays from 9:00am to 5:00pm, weekends from noon to 5:00pm. For more information, read below or visit www.londonstation.com or call 604.274.7326. Drawing inspiration from Steveston’s rich maritime heritage, London Station’s 22 homes have a distinctive urban industrial architecture – a mix of angular rhythm and contemporary minimalism that includes expansive balconies and outdoor spaces and even private rooftop terrace in some units. Inside, Richmond’s London Station Steveston pre-construction real estate condos homes have all the carefully details today’s avvy homebuyers insist on including gas fireplaces, polished granite counters, wood floors, kitchen and bath fixtures and stainless steel appliance package. Third level penthouses at London Station Steveston condo pre-sales boast KitchenAid appliances, a wine fridge, and spacious decks – think lavish summer parties and family time. And here’s the bonus. There pre-construction Steveston Homes at London Station are designed with geothermal heat exchange system for reduced energy consumption too. Another young pre-sales development at London Landing STeveston is the Nakade Waterfront Luxury release of sixteen exlusive residences that are now available. You can visit www.nakade.ca for more info about these Nakade residences in Steveston. On the London Station Steveston real estate front: You can’t afford to miss this opportunity with two bedroom pre-sales units priced from just $439,900. 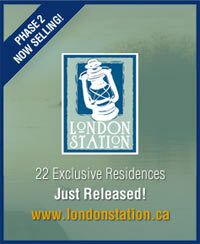 the London Station Steveston condo community is now selling Phase 2! Grand opening event happened on Saturday, April 12th to much public fanfare. The Richmond London Station display suite is now open for viewing. There, you’ll be able to see firsthand what makes these exceptional pre-construction Richmond homes. Exquisitely detailed inteiors expand tehse spacious homes while showcasing a stunning riverfront setting. Take full advantage of a great neighbourhood with a sense of place, picturesque Steveston real estate charm and unique attractions. The convenience of being able to walk to a wide variety of popular shops, schools and services. Stevestone pre-sales London Station real estate condos is your chance to own a luxurious home in an award winning Richmond community – one of the most sought after places to live in Richmond. Don’t miss out. Live the dream at London Station Phase 2. Re/Max Sales Office is at 12235 No. 1 Road in Steveston and the new display suite is located at Unit 415 at 6233 London Raod which is open on weekends between noon to 5:00pm. 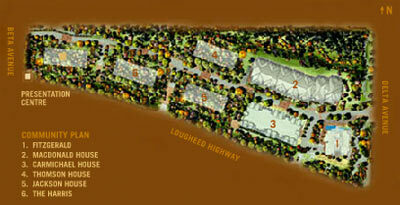 www.londonlanding.com and there are only 7 pre-sales homes remaining in Phase 1. Now selling! Richmond’s premier address and you can move into your new presales condo in Richmond real estate in the summer of 2008. This Cressey real estate development in Richmond Manadalay condo residences has their presentation centre open daily from noon to 5pm (not on Fridays though) at Unit #129 – 9373 Hemlock Drive in Richmond BC. You can visit www.mandalayrichmond.com or call 604.821.9999 for more details. The luxury residences at the pre-construction Richmond Manadaly Condos introduces one and two bedroom apartment layouts in presales. Also, the suites at Manadalay Richmond BC will have expansive terrace or patios reaching up to nine hundred and ninety square feet, a great area for you to have outdoor living space and entertainment areas during the summer months. The Manadalay Luxury Residences in Richmond’s real estate property includes stainless steel KitchenAid appliances, natural stone counter tops with undermount sink as well as solid wood shaker style cabinetry. The Richmond Mandalay residence pre-construction condos will have have wide plank hardwood flooring in dining and living room and the Willis 2-10-10 Year Home Warranty Program. The Manadalay Richmond condo development will also have 6,600 square feet of the most luxurious community amenity spaces.